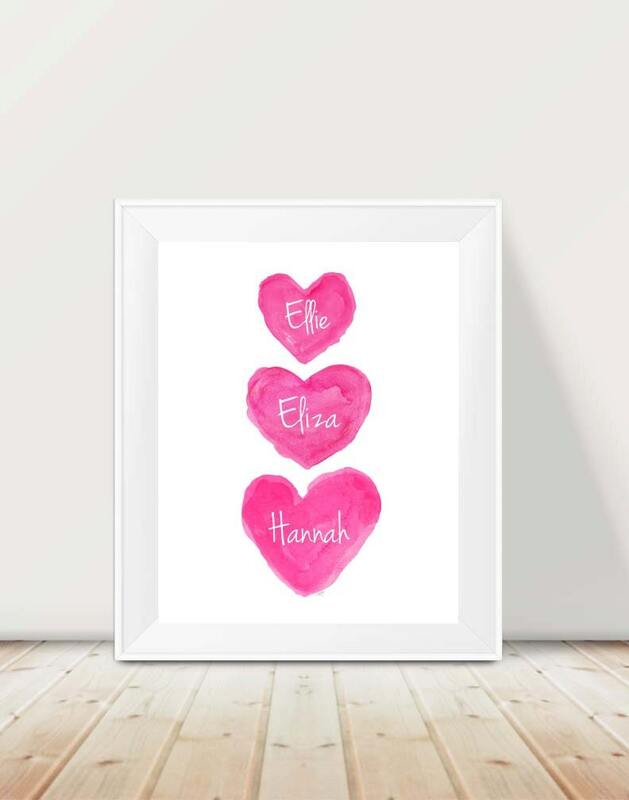 Personalized this vibrant collection of hearts with your three girls special names. 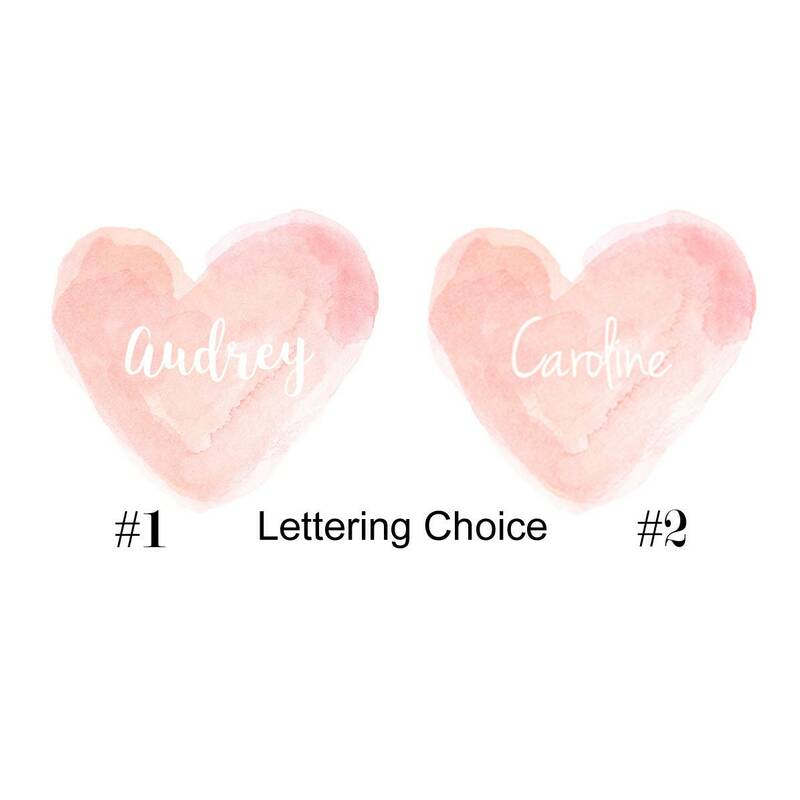 An 11" x 14" art print created from my original watercolor heart paintings.Please include the names in notes to seller at checkout and what order to place the names; top-middle-bottom. Also available in pale pink and hot pink (medium color shown). So simple and so beautiful! I love it! Thank you! 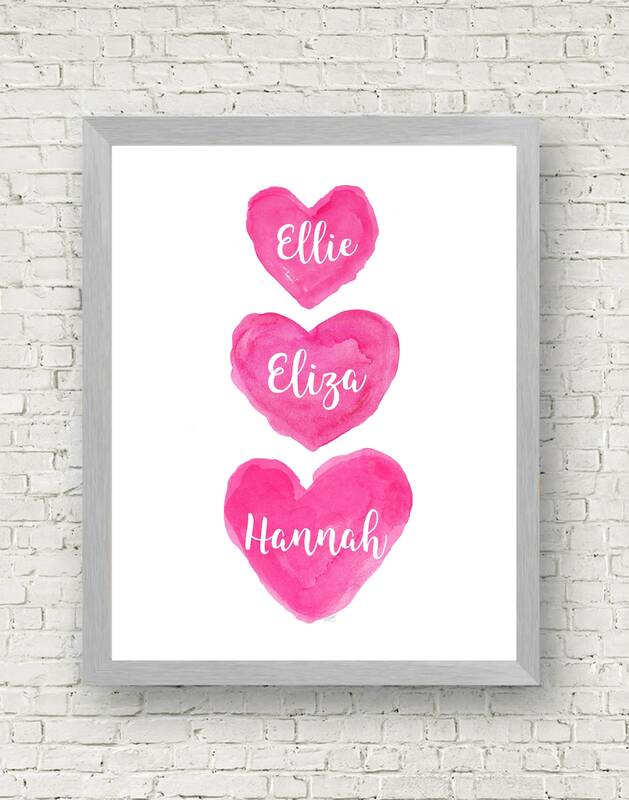 Love this print. 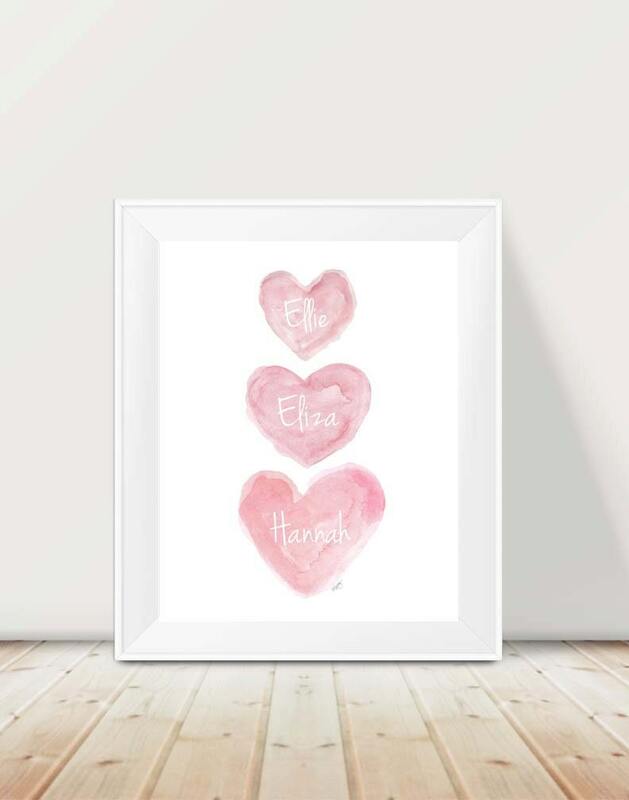 Perfect for my 3 little girls! 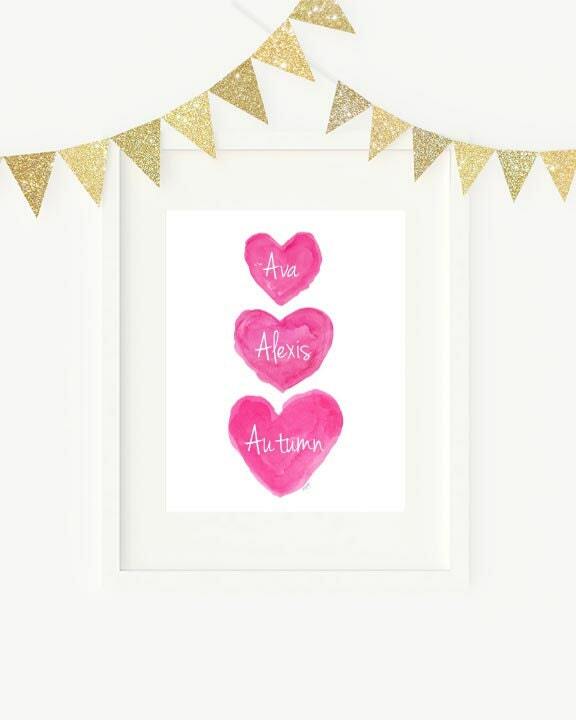 Lovely print to give as a gift.